Most people take their modern overhead garage doors for granted. They forget there was a time when entering their garage involved much more than using a remote while cruising into their driveway, with the door sliding down smoothly behind them once they had safely entered the garage. But the fact is that your garage door opener works on electricity and all it takes is a power outage to compel you to open and shut the door manually; which was what everyone used to do before automatic garage door openers became the norm. But it doesn’t have to be that way. You can always install a battery backup for your garage door’s opening system. 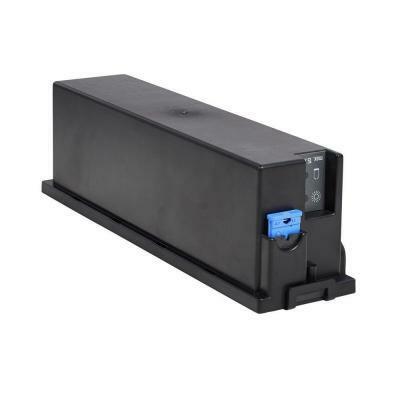 Let’s take a detailed look at why it’s important to have a battery backup for your garage door opener. The door opener may be hardwired into your home’s electrical system or it may be plugged into an electrical point. 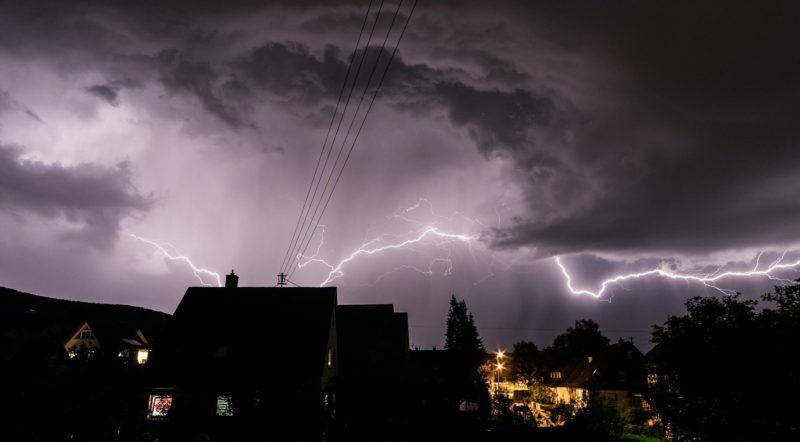 If someone hits a power pole or if the circuit breaker trips, the power outage will prevent you from opening up your garage door, unless you have a battery backup. A storm or hurricane can cause a power outage, making it difficult for you to get out of your home. 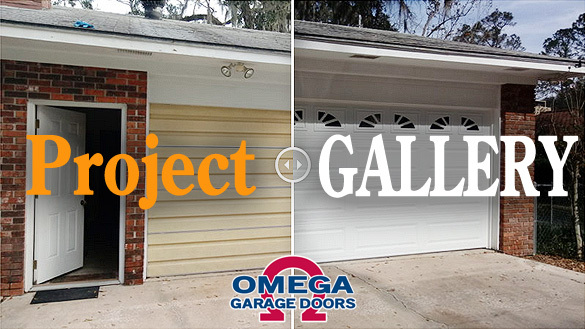 If you are planning on driving out at that point of time, you will find that the garage door is non-functional. Even after the storm has passed, you will have to wait for the power to be restored before you can open up the garage door. In the event of a hurricane or thunderstorm, you don’t want to be stuck outside your house with kids only because some of the local lines are down. You want to ensure that your family is back to the safety of your home, and having easy and quick access to your garage is crucial at times like this. When you have battery backup for your garage, this is something you will be able to do without any trouble. We know that inclement weather and power outages are emergencies in their own right. While you can open up the door manually once you have scrutinized the mechanisms, emergencies always come unannounced. 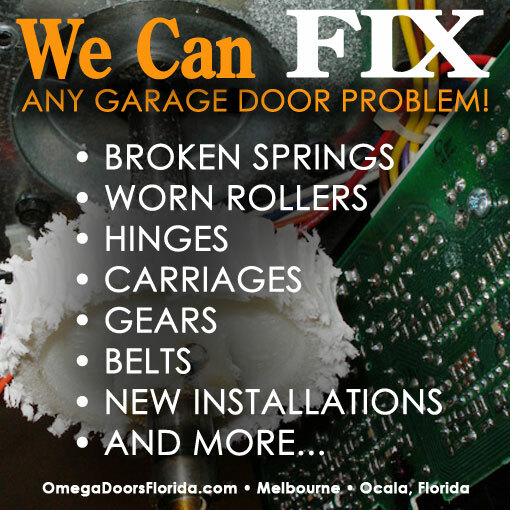 Just imagine what would happen if you broke the arm that lifts the garage door only to find that you are unable to bypass the system in times of emergencies. To better weather Florida’s storms and upcoming hurricane season, a battery backup for your garage door opener is a contingency plan you must have in place. It’s important to have this fallback position as emergencies can crop up at any time and having a battery backup is the one way to ensure you are able to use your garage door when you need it the most. Most current model garage door openers are outfitted with a battery backup. While this may seem like an excess at the time you decide to buy the door, the backup can prove to be very useful in the situations mentioned above. If your garage door opener doesn’t have battery backup, you can contact us to retrofit it with an aftermarket battery backup as well. If you have any questions or need to know more about garage door battery backups, contact us – we’re happy to help you make sure your garage door and opener are in optimal working order to prepare to help weather Florida’s storms and upcoming hurricane season.